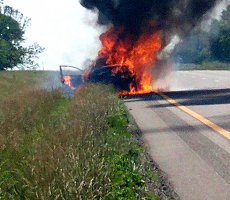 Hyundai and Kia say they won't appear at federal hearing about non-collision vehicle fires. November 9, 2018 — Hyundai and Kia vehicle fires won't be the subject of a planned November 14 Senate Commerce Committee hearing as both automakers bailed out by claiming it isn't fair other automakers won't be questioned about non-collision vehicle fires. The hearing was scheduled so executives could answer questions posed by safety groups that claim non-collision fires in Hyundai and Kia vehicles occur at a pace much higher than other automakers. Both automakers say they continue to work with Congress and the National Highway Traffic Safety Administration (NHTSA) regarding the safety of the vehicles and the questions posed about fire dangers, but the automakers indicate they are being treated unfairly concerning non-collision vehicle fires. "To gain a full understanding of this industry-wide matter we have respectfully requested the Committee consider a more comprehensive review of non-collision fires among all automakers. Non-collision fires are not limited to Kia [and Hyundai] vehicles as research from the Highway Loss Data Institute, an independent, nonprofit research organization shows." According to the automakers, they have hired third-party companies and a senior fire expert to investigate non-collision vehicle fires, and management "will take any necessary corrective action in a timely manner." But the Center for Auto Safety (CAS) says Hyundai and Kia should have recalled about three million vehicles allegedly at risk of fires that pop up without any need of crash impacts. CAS says non-collision fires in Hyundai and Kia models occur at rates much higher than other automakers, especially with 2011-1014 Kia Optima, Kia Sorrento, Hyundai Santa Fe and Hyundai Sonata vehicles. The Center later added 2010-2015 Kia Souls after allegedly finding dozens of reports about vehicles that caught fire while driving. Based on research conducted by CAS, Hyundai and Kia customers have filed more than 220 complaints about non-collision fires, with even more complaints filed about smoke and melting components. Furthermore, at least 12 fires have allegedly occurred in vehicles that were repaired during engine-based recalls. 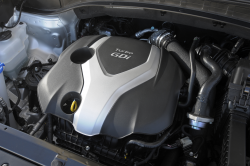 Those Hyundai recalls were issued in 2015 and 2017 when Hyundai recalled more than 1 million vehicles equipped with Theta II engines. 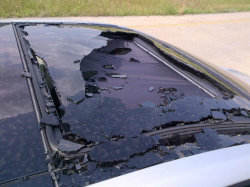 The automaker said the problems were caused by metallic debris that invaded the engine oil and damaged the engines. 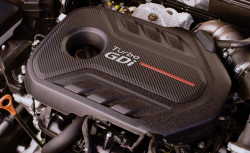 Kia also recalled nearly 619,000 vehicles for engine problems, but the recall was different because the automaker claimed the engines failed due to bearings that wore out prematurely. 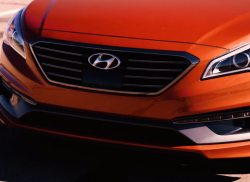 Contrary to what the Center for Auto Safety says, Hyundai says the engine problems occur only in 2011-2014 Sonatas and 2013-2014 Santa Fe Sports equipped with Theta II engines. Hyundai says manufacturing problems may cause failed engines and fires, with customers reporting their engines knock, ping and stall. Hyundai also claims drivers will know trouble is right around the corner because warning lights will activate and the engines will likely hesitate. Although Hyundai originally told customers and the government the engine failures weren't considered a safety hazard, the automaker now says, "Nothing is more important than the safety and security of Hyundai customers." 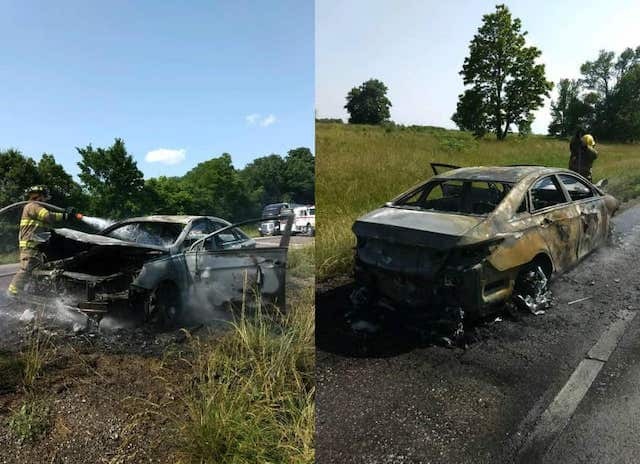 As Hyundai and Kia were trying to decide what problems would be called "safety-related," the Center for Auto Safety petitioned NHTSA to investigate more than 100 fires, a petition NHTSA is required to grant or deny within 120 days. However, the government has not responded despite being well beyond the deadline. According to CAS, Hyundai and Kia first didn't want to mention the word "fire" in conjunction with their vehicles, choosing instead to say "thermal events" would be investigated by the automakers. The auto companies claim previous recalls for engine problems may be good enough to prevent the fire dangers, but none of the recalls originally used the word "fire" as a possible result of the engine defects. 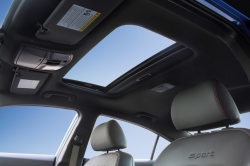 Additionally, 2011-2012 Hyundai Santa Fes, 2014 Kia Sonatas and the Kia Souls were not included in the recalls.